If you’ve thought about purchasing a new Cadillac CTS-V or ATS-V, but have yet to pull the trigger for whatever reason, Cadillac has just announced it’s providing free driving lessons to people who buy a 2017 V-Series model. New Cadillac Models: Have you heard about the cool new features found inside the 2017 Cadillac XTS? 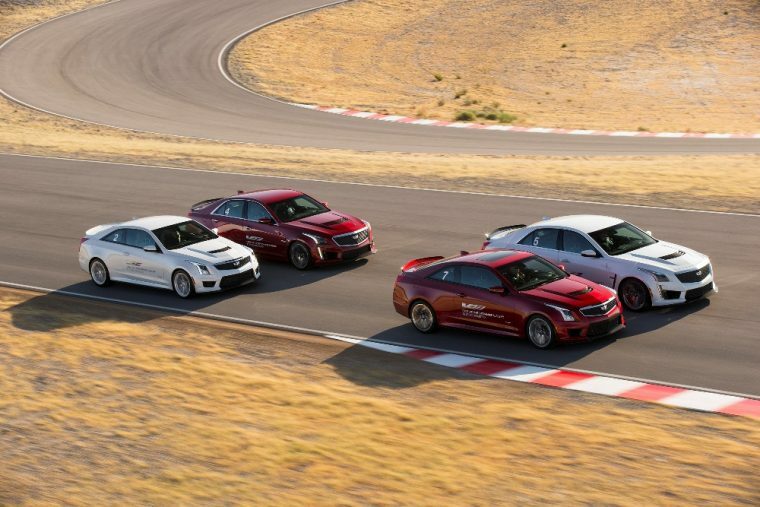 The driving classes will take place at the V-Performance Driving Academy, which is located at the Spring Mountain Motor Resort near Las Vegas. Participants will learn about the slalom driving technique and perform various steering exercises, and they’ll also get to test their vehicle’s lateral acceleration on a skidpad. Cadillac will also be providing guests with two free nights at condos located in Pahrump, Nevada. In addition, a professional chef will be cooking both breakfast and lunch for participants of the driving academy. The only catch is customers must pay for their own plane tickets, but Cadillac will bring one of its shiny new luxury vehicles to the airport in order to transport people to and from the resort. Ford is also offering a similar deal for consumers who purchase a new Focus RS. Also, not to be outdone, FCA recently announced that Fiat 124 Abarth buyers will be treated to one day at the Bondurant Driving School in Chandler, Arizona. However, neither of those models pack as much power as the 2017 Cadillac CTS-V, which can rocket from 0 to 60 mph in just 3.7 seconds, thanks to its 640-horsepower V8 engine.